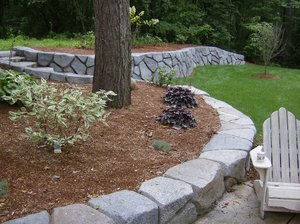 A retaining wall is a sturdy structure that serves multiple purposes besides adding aesthetic value. People often become confused when choosing the right material for their retaining wall, or fail to follow the installation process correctly. Most of the time, people who try DIY methods when installing their retaining wall, fail due to inadequate knowledge. You can hire us to install your wall, but let’s clear up any confusions if you are still on the fence about what type to get. Here are the five most common questions people ask us. 1. What material would be perfect for you? For a retaining wall, there are two basic choices for the material: Block or concrete. There are other options like a railroad or old wood tie, but due to their poor performance of longevity, these are kept aside. In the earlier days, those were used widely, but now people are keen to invest in a more durable material. Therefore, go for block or concrete. 2. What are the new types of walls? Are they worth it? The new types of walls include Stone Makers retaining walls. Being a homeowner, what you expect from a retaining wall, would be perfectly served by this new type of wall. It is sturdy, eye-catching and also, comes in an affordable package. 3. Why are there water issues? What can you do? 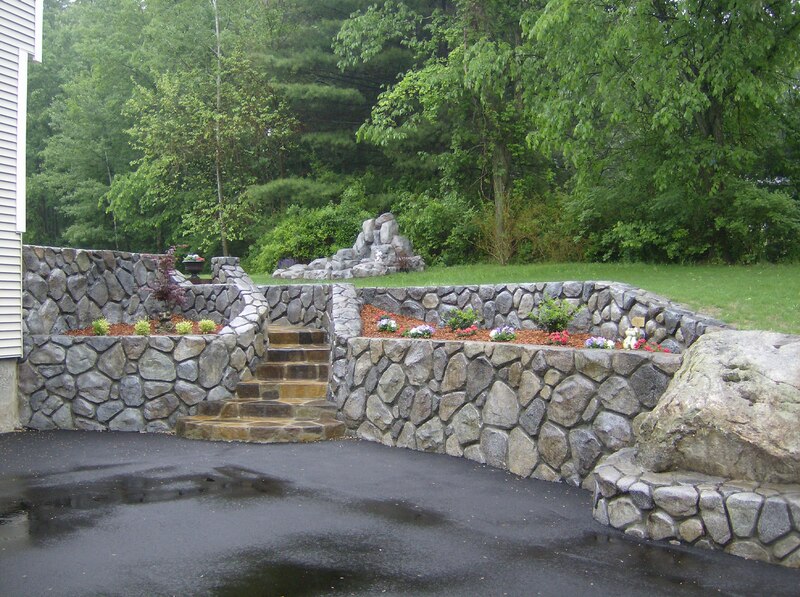 You should inform us immediately if you are having water issues, and that is why you are in need of a retaining wall. Water issues usually happen due to an improper drainage system. We can help you find a cost-effective solution, and save your lawn or foundation from long term damage. Depending on the area you live in, you will need a building permit before settling a retaining wall. But, don’t worry we will handle that for you. 5. What about a cheaper option? Many people opt for the cheaper option, the reason being, they don’t intend on living in the home for long. If you are searching for a cheap option, you have to keep in mind that not all retaining walls are built the same, a cheaper option initially may cost more in maintenance over time. Furthermore, a cheaper retaining wall is not always the best option as it can’t be guaranteed for the particular tenure you are going to stay. It may last for three years or only three weeks! In need of retaining wall repair or maintenance? Repairs often need to be done to prevent damage to the foundation of a house or to prevent wash out. Over time, homeowners often notice cracks or sliding on their retaining walls due to weatherization, storms, or shoddy construction. Earthquakes, tornadoes, and intense storms can cause a retaining wall to shift and even crack. Minor cracking is often normal; however, it’s important to have it repaired to prevent further damage, especially when the cracks are significant, and the wall has outlived its quality. 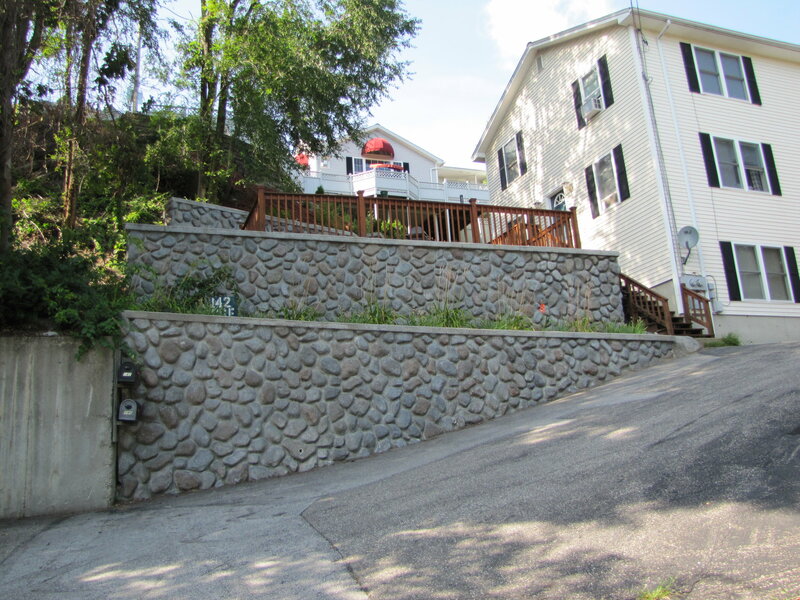 Whether you need your retaining wall rebuilt, cracks repaired, or re-enforcement, we can help. We offer a Limited Lifetime Warranty on our premium retaining walls because when weather strikes and cracks occur, we want you to be protected against erosion. The strength of a retaining wall goes beyond the surface, the drainage system and the base in which it is constructed on factor into its durability as well. If the initial installation is not up to standard, problems can be expected in the future. Opting for a do-it-yourself repair can cost you more in the long run if you are not familiar with the construction of a sturdy wall. Stacking stones together without the knowledge of structure can leave you with flooding issues and more. To the average person, it may be difficult to determine if your damaged wall can be repaired. In some cases, a new wall may be necessary. You can rest assured that our work is completed by experienced and skilled craftsman that produce high-quality results. We can determine the root of the issue and construct a heavy-duty retaining wall that’s artfully crafted. We get the job done right the first time around, so you will not be investing money to have your retaining wall repaired due to poor quality again. 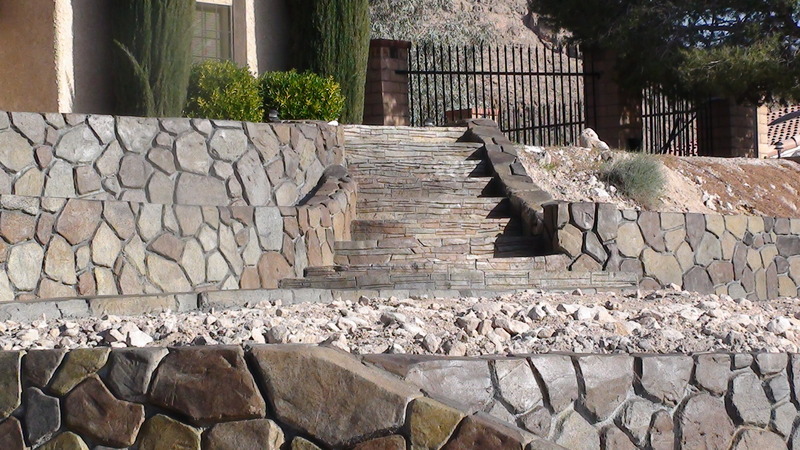 Prevent a landslide from happening on your property and hire a concrete artisan at ADC Hardscapes to repair or maintenance your retaining wall. Contact us today for a free initial consultation. 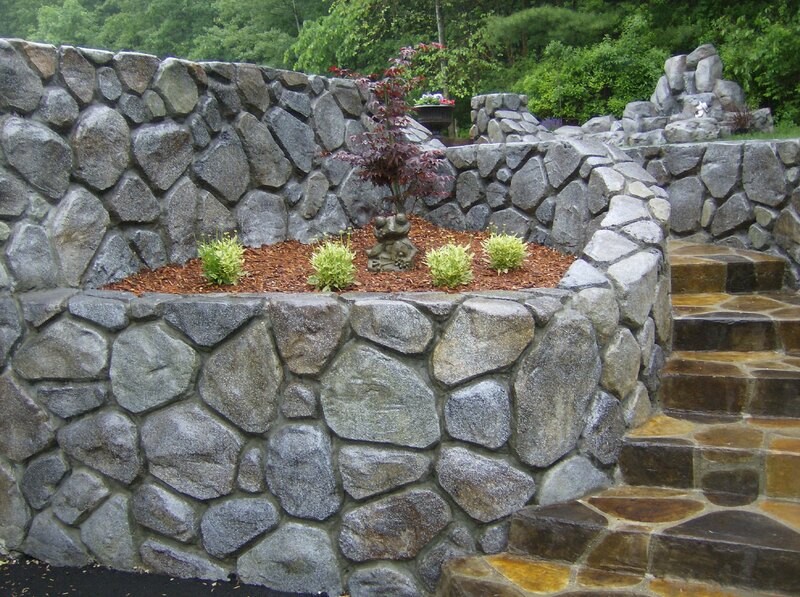 We are ready to build you a durable retaining wall. Call or text us today at (405) 650-5654 to request a free quote for your retaining needs.